Not the best picture I have ever taken. I was tired and just taking casual shots quickly. Honestly I was getting the feeling I was overstaying my welcome a bit. But I had a good amount of time to kill before heading back to Chicago Union Station to catch an Amtrak train home. Yes everyone seemed to think it was odd I traveled all the way to Chicago for a day just to get a ride in a Tesla Roadster. I never got the vibe that anyone thought this was cool. 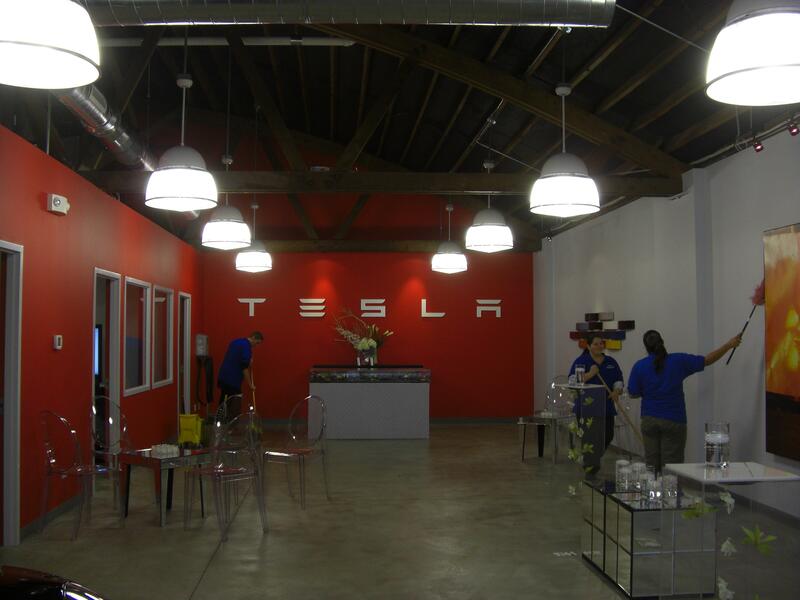 The photo above shows the Tesla charging station located inside their Chicago store garage area. There is also another charging station located on the sales floor. In the picture below if you look into the far left corner in the back. 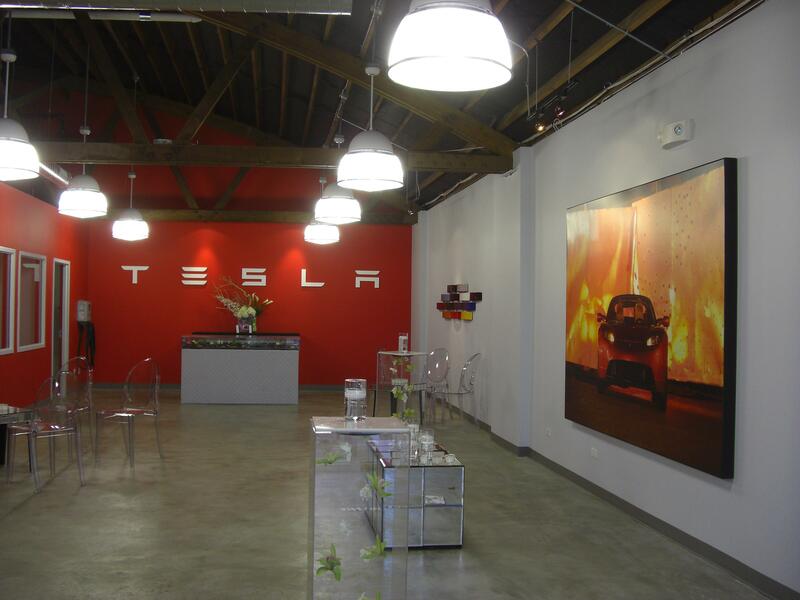 You will see the other Tesla charging station inside the Chicago store. At this time plugging in to recharge your batteries on the road most likely is a frustrating experience. Although many electric car owners say it’s not a problem for them. Right now there is no set plug type standard. Although major manufacturers have supposedly now agreed on an industry standard for future vehicles. 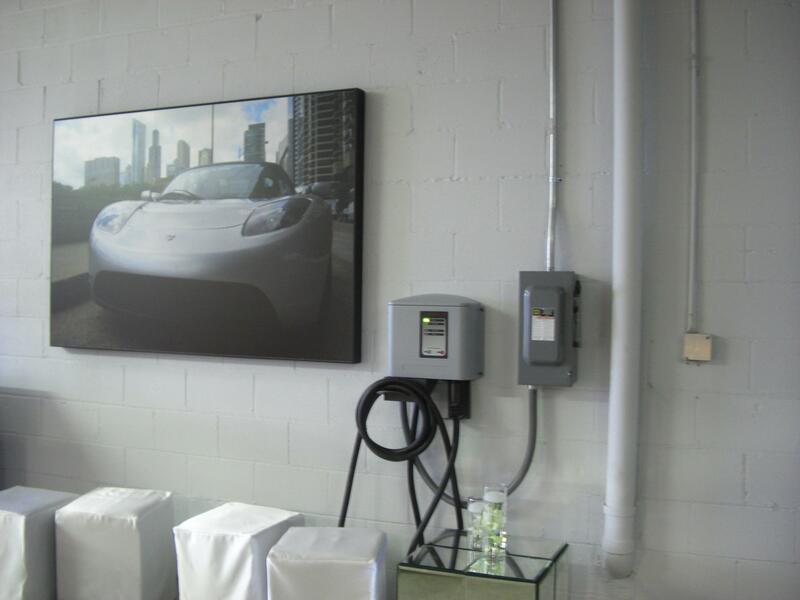 Chicago Boasts First Wind-Powered Car Charging Station in the U.S.